Appenzeller is a traditional cow's milk cheese produced in Appenzell region of Switzerland. 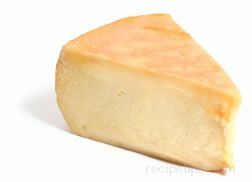 The cheese has a pale yellow-orange color and a firm texture. It is bathed (brine-cured) in a mixture of wine, spices, and salt, which produces an orange rind that is hard and dry. The cheese is made into various sized wheels. The flavor of Appenzeller is rich and buttery, which sharpens with age. It is an excellent choice for snacks, sandwiches, grilling, or as a melting cheese. 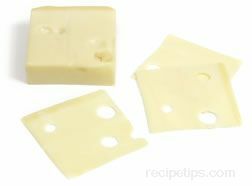 Typical of many Swiss cheeses characterized by holes (eyes) found throughout the cheese, Baby Swiss cheese also contains holes, but they are much smaller in size than aged Swiss cheese. Baby Swiss is a semi-soft cheese similar to another variety referred to as Lacy Swiss. Both have smaller holes due to a shorter aging time. As the cheese ages, the holes increase in size, thus both Baby Swiss and Lacy Swiss are younger, milder cheeses. The curing process of Baby Swiss (and Lacy Swiss) is altered so that the acidity, temperature, and length of the aging are adjusted to make this younger variety of cheese. Both Baby Swiss and Lacy Swiss cheeses are cured for only a few months versus the nine months to two years for aged Swiss cheeses. In Switzerland, both Baby Swiss and Lacy Swiss are made with unpasteurized raw whole milk. In the United States, the cheeses are generally made with pasteurized milk. Baby Swiss is made with whole milk, while Lacy Swiss is made with low-fat milk. Baby Swiss is a fine textured cheese that has a somewhat buttery and slightly nutty flavor. It is an excellent cheese for snacks, appetizers, sandwiches, fondues, quiches, pasta, and any cooked foods, since it has good melting properties. "Brine-cured" is a reference to numerous types of cheese that are washed with, or submerged into, a brine bath as part of the cheese making process. 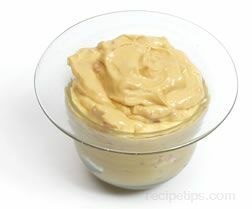 The cheese must remain in the brine for several hours to several months depending on the type of cheese being produced. The salty brining solution helps to limit the growth of unwanted bacteria that can produce a foul taste in the cheese (although in other stages of the cheese making process, some types of good bacteria are necessary for producing the cheese). The brining solution provides cheese with a slightly salty, savory flavor that is quite desirable in many types of cheese. One type of Swiss cow's milk cheese, Appenzeller, is cured with an herbal brining solution (which often includes wine) that is washed over the wheels of cheese during the curing process. The brining solution helps to provide the distinctive flavor of Appenzeller. The taste can vary from subtle to strong depending on the length of time the cheese is aged. Originating in Switzerland, Emmental cheese is made with raw (unpasteurized) cow's milk and is typically formed into a wheel weighing over 225 pounds with a thin hard rind surrounding it. Emmental is characterized by the large holes found throughout the cheese that grow in size as it ages. The cheese may be aged from four months to over one year and is considered quite young when sold at four to five months. It has a somewhat mild to strong taste (depending on the age) that is slightly nutty to fruity in flavor. 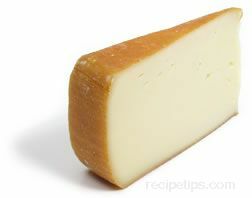 Emmental is a good choice for use in baked dishes, fondues, or hot cheese sandwiches, because of its melting properties. It is also used in cold sandwiches with layers of meat; as a cheese grated over vegetables, soups, and salads, and as a dessert cheese. Emmental, which may also be called Emmenthaler, is commonly referred to as "Swiss" cheese in the United States; however, the U.S. version is typically made with pasteurized cow's milk instead of raw cow's milk. A term commonly applied to any of the different types of European cheeses that are made by traditional cheese making methods and are produced from the raw milk of animals, such as cows, goats, and sheep that are raised on small regional farms, mountain chalet farms, or mountain huts. The quantities of cheese produced from farmhouse methods are small. When approved for production by the European AOC (Appellation d'Origine Controlee) the cheese is categorized as a "fermier" or "farmhouse" variety. Although this term was derived in Europe, it is also often used to classify American varieties of cheese. The term, Farmstead Cheeses, refers to cheeses made with milk collected from a group of farms that are located within close proximity to where the cheese is produced. Typically, the owners of the farms raise their animals on similar grasses, in similar areas, and with similar methods to produce the milk that is used in the production of the cheese. A similar term often associated with European cheeses is "farmhouse cheese," referring to cheeses produced in lower volumes and made on individual farms that are situated in valleys, mountainous areas, or the meadowlands of Europe. Fribourgeois is a cow's milk cheese from Switzerland that has a hard texture, a dry natural rind, and a slightly spicy, savory flavor. It is best suited as a grilling or melting cheese. It is usually produced in various sizes of wheel shapes. Originating in Switzerland, Gruyere cheese is traditionally made from unpasteurized cow's milk that is heat-treated. The processed curds are formed in copper pots. After the cheese is produced, it is aged into a firm, dry cheese that is pale yellow in the center and slightly brown around the edges. 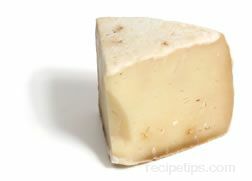 Gruyere is usually aged ten to twelve months before it is sold. The flavor of Gruyere cheese is somewhat fruity and nutty tasting. 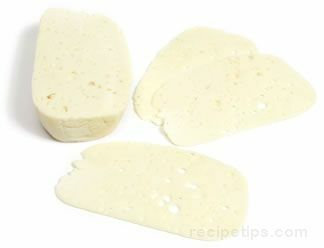 The smooth texture allows the cheese to be cut easily to serve on crackers or to include in sandwiches. 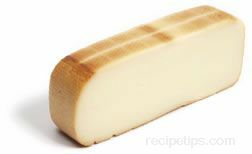 It is an excellent cheese for cooking, as it melts quite well; and so, it is often used in fondue, mornay sauce, or in chicken cordon bleu. As a dessert cheese, it can be served with fruit or in cheese tarts. Gruyere is much like Emmental cheese except that the holes in Gruyere are much smaller than the holes found in Emmental. When heated, the density of Gruyere allows it to remain in a mass rather than becoming stringy like Emmental. A few of the different varieties of Gruyere that are available include Swiss Gruyere; Grand Cru, made in the United States; and Gruyere de Comté, which is made in France. 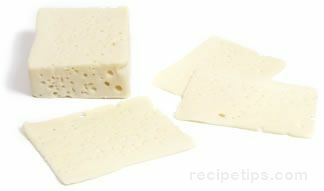 Like many of the Swiss cheeses characterized by holes (eyes) found throughout the cheese, Lacy Swiss cheese also contains holes, but they are much smaller in size than aged Swiss cheese. Lacy Swiss is a semi-soft cheese similar to another variety referred to as Baby Swiss. Both have smaller holes due to a shorter aging time. 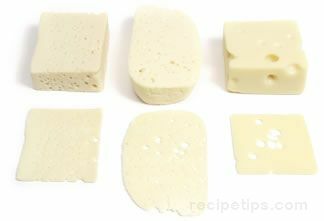 As the cheese ages, the holes increase in size, thus both Lacy Swiss and Baby Swiss are younger, milder cheeses. The curing process of Lacy Swiss (and Baby Swiss) is altered so that the acidity, temperature, and length of the aging are adjusted to make this younger variety of cheese. Both Lacy Swiss and Baby Swiss cheeses are cured for only a few months versus the nine months to two years for aged Swiss cheeses. In Switzerland, both Lacy Swiss and Baby Swiss are made with unpasteurized raw whole milk. In the United States, the cheeses are generally made with pasteurized milk. Lacy Swiss is made with low-fat milk, while Baby Swiss is made with whole milk. Lacy Swiss is a fine textured cheese that has a somewhat buttery and slightly nutty flavor. It is a cheese that is low in fat and sodium, which makes it an excellent cheese for snacks, appetizers, and sandwiches. Lacy Swiss may also be referred to as Swiss Lace, Swiss Lorraine, or Lorraine Swiss. Processed cheeses are produced in many countries around the world. One of the most common and well known types of processed cheese is referred to as "American Cheese," which originated in the United States. 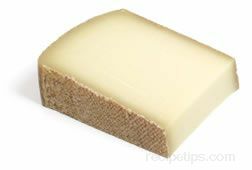 In Switzerland, a Gruyere-style cheese is produced, which is made into a block shape. Stanser cheese is produced in and around the area of Nidwalden, a canton (region) in central Switzerland. Made from sheep's milk, this cheese is firm in texture with a slightly nutty and somewhat grassy flavor. The cheese is a good choice to serve with meats, crackers, bread, and wine. Also referred to as Stans or Stanser Käse, the name is derived from käse, the Swiss word for cheese, and Stans, the capital city of Nidwalden. Originating in Switzerland, this cheese is characterized by the large holes (eyes) found throughout the cheese, which grow larger and increase in number the longer the cheese ripens. This is due to the gas bubbles enclosed in the aging cheese. The name, Swiss Cheese, is actually a traditional name given to both U.S. and European cheeses; however, a traditional Swiss cheese is usually named for the canton (state) where it originated, such as Appenzeller, Emmental, Gruyere, and others. Cheeses made in the U.S. that are referred to as Swiss cheese may be either imported or domestic. Generally the imported Swiss cheeses are made with raw, unpasteurized milk, while U.S. Swiss cheeses are made with pasteurized whole or low-fat cow's milk. There are three types of U.S. Swiss cheeses that are generally available: Baby, Lacy, and Aged Swiss. The Baby Swiss and the Lacy Swiss are semi-soft cheeses with delicate, open-textures (small holes) and a mild, delicately sweet flavor to match. The Lacy Swiss, also known as Lorraine Swiss or Swiss Lace, is a cheese made with low-fat milk, while the baby Swiss is made with whole milk. 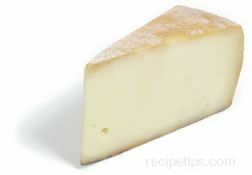 The aged Swiss, often referred to as Wisconsin Swiss, contains more of an open texture with large holes and is a stronger bodied cheese with a distinctive nutty flavor. It is a harder cheese than Baby Swiss or Lacy Swiss and has a sharper flavor. Different varieties of European Swiss cheeses range in flavor from mildly sweet and buttery to a full-bodied sharp and nutty taste. European Swiss cheeses can vary in color from creamy white to pale yellow as they age. Swiss cheese is often served with sandwiches or bread, as a dessert cheese, a fondue cheese, in quiches, on pasta, or as a cheese combined with other baked foods. It is an excellent choice for cooking, since it has nice melting properties. 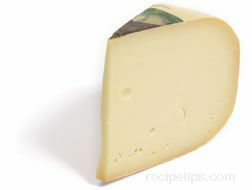 Also known as Bellelay cheese, Tete de Moine is from Switzerland where it is produced from unpasteurized cow's milk. 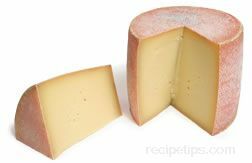 Made into small cylinders that are often wrapped in foil, Tete De Moine cheese has a natural light tan to brown outer rind covering a light straw-colored paste that is semi-firm in texture. With a strong aroma, the cheese has a wonderful hearty flavor that is somewhat nutty with a slight fruity overtone. Often served as a luncheon or snacking cheese, Tete de Moine goes well with whole-grain crackers or heavy breads, cured meats, fruits, and vegetables. Tete de Moine is also a good cheese for using in a fondue, especially when accompanied by robust red wines or stout beer and ale. When purchasing this Tete de Moine cheese, make sure it is not too old, which gives the cheese an overly pungent aroma and a noticeably rancid flavor. Vacherin Fribourgeois is a semi-hard cheese made from unpasteurized cow's milk. It is made in Switzerland and is often confused with another cheese from Switzerland known as Vacherin Mont d'Or. In France, the same cheese is often referred to as Mon d'Or or Vacherin Haut-Doubs. When young, this cheese is known as Vacherin à Main and is most often served with dessert. As it ages, the cheese takes on a mild but rich nutty flavor with a distinctively pungent aroma. Because of its ability to soften and melt at lower temperatures, the aged cheese is used for fondue and is typically combined with Gruyere cheese when used for this purpose. Vacherin Fribourgeois cheese goes well with a hearty red wine. Vacherin Mont d'Or is a traditional cheese of Switzerland and France made from cow's milk that typically contains almost 50 percent milk fat. When produced in Switzerland, the cheese is referred to as "Vacherin Mont d'Or" and is made with pasteurized milk. The French version is produced with raw unpasteurized milk and is known as "Vacherin Mont d'Or" as well, but it is also referred to as "Le Mont d'Or" or "Vacherin du Haut-Doubs" (the A.O.C. name).